If you’ve never been on a cycling holiday, you should definitely consider it. It is a different way to experience the destination you’re visiting. Especially famous among adventurers and outdoorsmen, a wide variety of organized cycling tours can be found in almost every European country. If you’re new to this activity, you might want to start off with some of the more popular routes, like the following 15 we’re about to mention. 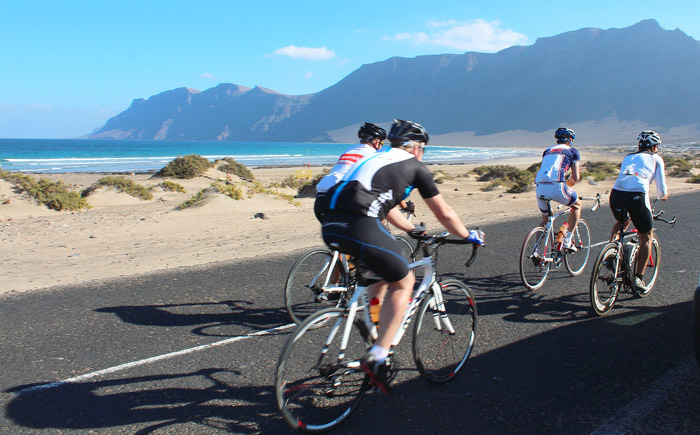 Lanzarote, Canary Islands – Lanzarote is the easternmost of the Canary Islands, where the temperatures are above 20°C all year round, which makes this a great destination for cyclists (it’s especially popular during the winter). Although it is generally small, the island is famous for its great roads with little traffic, making it easy to go anywhere on the island. You can rent mountain and high-end road bikes in a lot of shops on Lanzarote.